Reuseable! 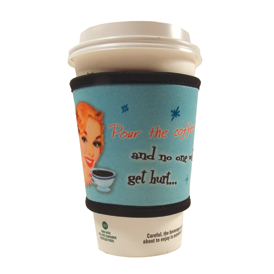 Full color sublimated Neoprene Cup Cozy Sleeve. 60.00(G) sample charge plus set-up charges. Sample charge is refunded with order placed.